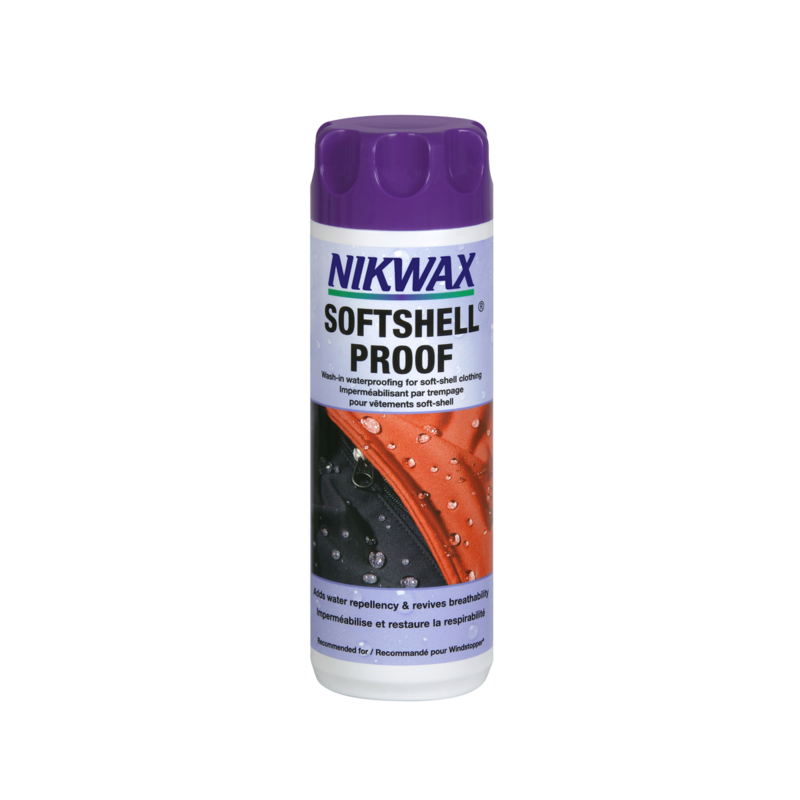 Easy-to-use Nikwax Softshell Proof provides spray-on water repellency and revives breathability for soft-shell clothing. High-performance, low-impact solution adds durable water repellency, revives breathability and maintains internal wicking properties of soft-shell garments. Easy application is effective on all water-resistant performance soft-shell fabrics. Recommended for Windstopper®, Windbloc®, Schoeller® and Polartec®. Water-based and biodegradable formula contains no fluorocarbons or VOCs. Nikwax is a global leader in safe, high-performance waterproofing and cleaning solutions for clothing, footwear and equipment.